All Rochelle homes currently listed for sale in Rochelle as of 04/24/2019 are shown below. You can change the search criteria at any time by pressing the 'Change Search' button below. If you have any questions or you would like more information about any Rochelle homes for sale or other Rochelle real estate, please contact us and one of our knowledgeable Rochelle REALTORS® would be pleased to assist you. "Here is a beautiful, highly imp property, with own lake, and prop has many uses.There is a beautiful, lrg 4400 sf rock, 2 story, 3 or 4 bd 2.5 bth home, for fine liv in the country.Home sits on small hill,overlooking much of property. There is superb hunting, includ. 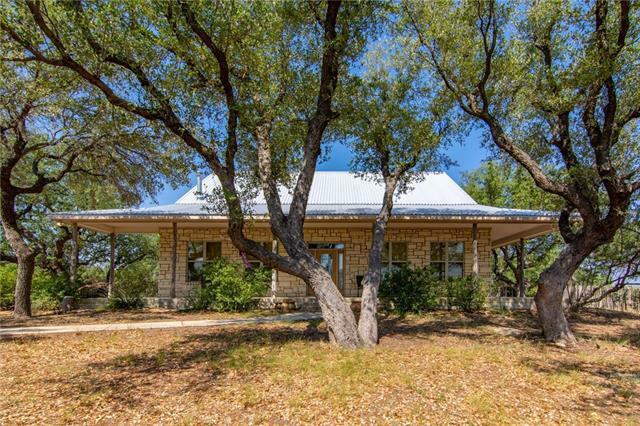 deer,turk,dove,pigs,other varmints.There are 4 blinds,4 feeders.Tree & brush cover consists of Liveoak,Cedar,Mesq,Elm,and other brush and browse.There is fantastic kleingrass(approx 175 ac).There is also older smaller, approx 860sf "
"San Saba County 60-acre ranch with a house and a large pond is the perfect place for anyone who loves the outdoors! 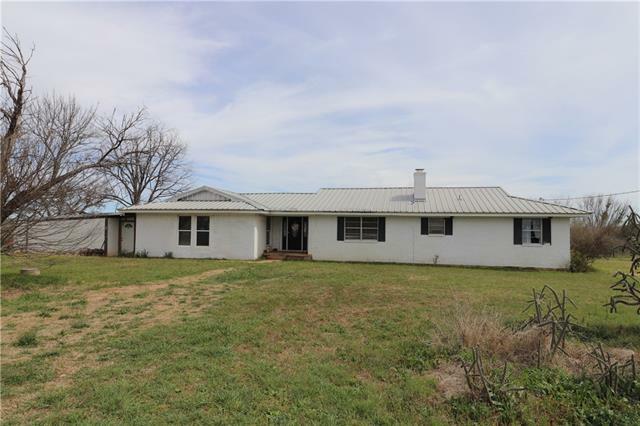 Located near the heart of Texas, this ranch has it all: beautiful views, abundant wildlife, a large pond fed by runoff, and 3 bed, 2 bath home in great condition! 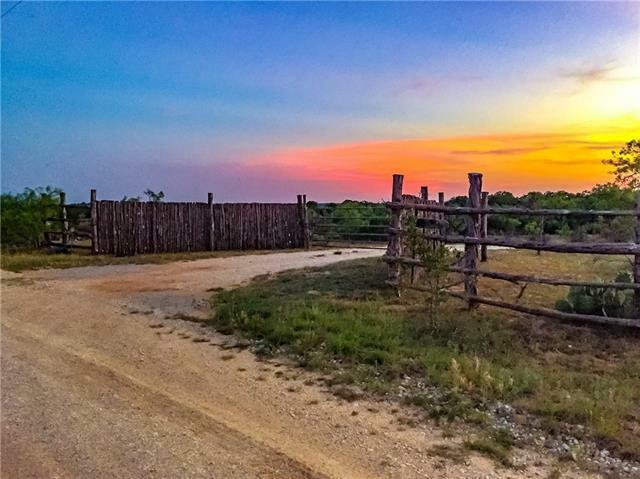 The property is secluded yet easily accessible and surrounded by large acreage ranches with no or minimal hunting. The food plot draws large deer. There are multiple truck-friendly trails that allow easy access to vario"
"Are you looking for a place that's peaceful and off the beaten path? ! This 4 bed, 3 bath home with great kitchen with lots of cabinetry and counter space, dining & breakfast areas. Off of the kitchen leads to a large RUSTIC living area with an earth stove. The master suite is very spacious and has a large bathtub and walk in shower. Outdoor spaces include a very large garage or mancave connected to the house. Beautiful yard with bull mesquites, flowers, and hummingbirds! Assets on the property"
"Home features 3 bedrooms and 2 bathrooms. The master on suite is gorgeous! The bathroom entrance barn doors will set the tone for the country living that many people desire. The standalone tub has large windows that are also covered by beautiful barn doors, his and her vanities with sinks, a private lavatory as well as a separate shower. The large living room is perfect for entertaining and family fun. The guest bedrooms have large closets. The large laundry room is hidden behind a pocket door a"
"Country home with two acres and solitude in the country. 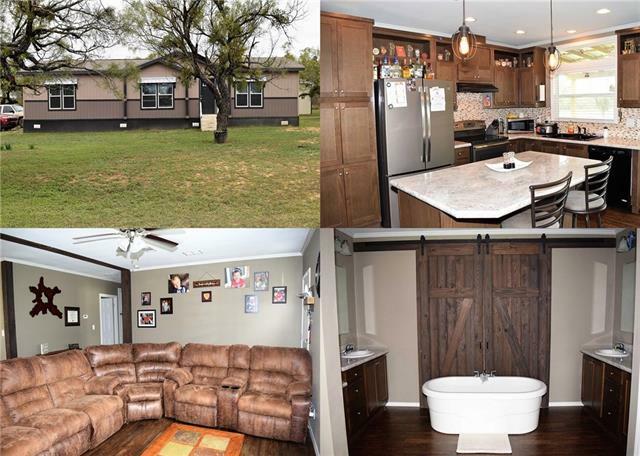 Ranch style home with 2108 sqft, three bedrooms, two bathrooms and large living area. Strong well supplies good water for the home. Good fences around the property with small pen on one side. Smaller outbuilding in back could be storage or children's playhouse. Call for showing appointment."